Cllr Gerard Hargreaves Kensington and Chelsea Council’s lead member for planning and transport. 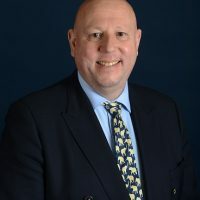 Cllr Gerard Hargreaves is Kensington and Chelsea Council’s lead member for planning and transport. Kensington and Chelsea Council is investing in central-London’s largest network of lamp post electric vehicle chargers as part of its strategy to help reduce air pollution across London. Lead member for transport Cllr Gerard Hargreaves explains what lessons were learned from the roll-out, and why map post charging works for London.